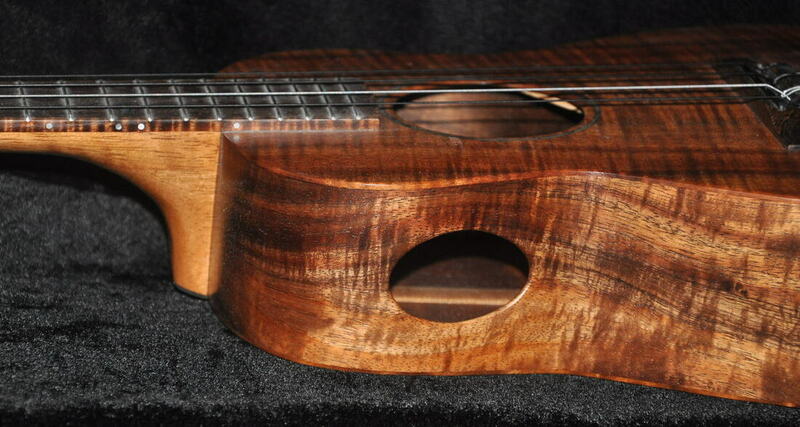 This tenor ukulele has curly Hawaiian koa top, back, and sides, Hawaii grown pheasant wood fretboard and bridge, abalone rosette and bridge inlay, abalone heel cap, gold plated Grover tuners, fretboard bound in curly koa, slotted headstock with curly koa headcap, Hilo Strings and abalone position markers. 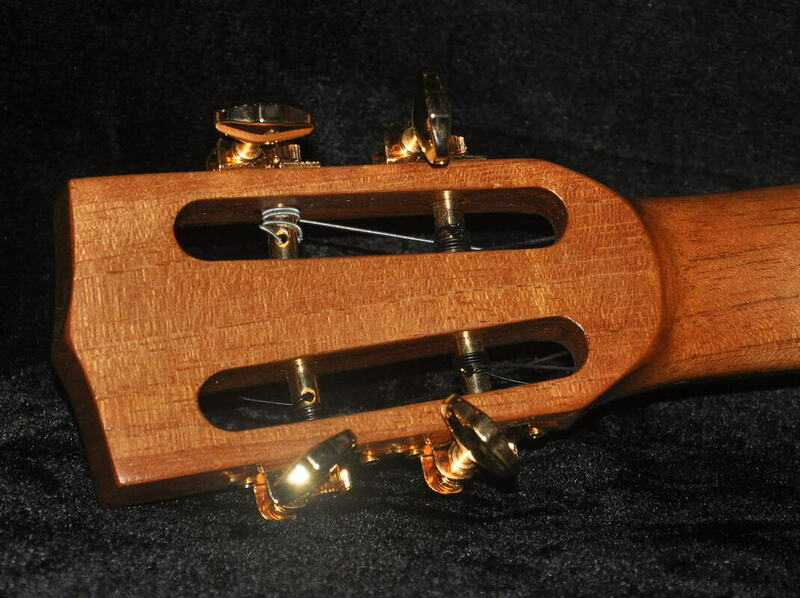 Neck is Spanish cedar with a carbon fiber reinforcement rod. 16' radius on the fretboard. Low string action, making it easy to play. Since there was no room for my Pegasus logo on the slotted headstock, I inlaid a mother-of-pearl Pegasus logo inside the body on the neck block. 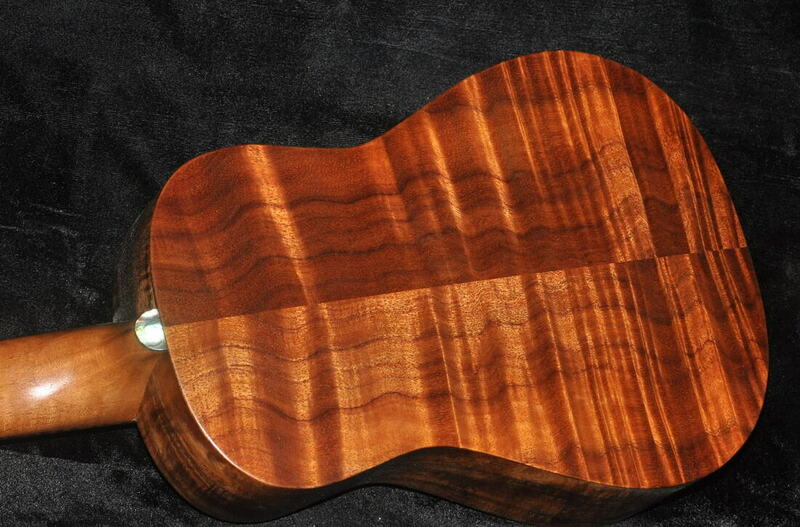 It can be seen through the sound hole . The Natural Series are true no frills player's instruments. I build 2 different tenor shapes. This ukulele is my Traditional shape. 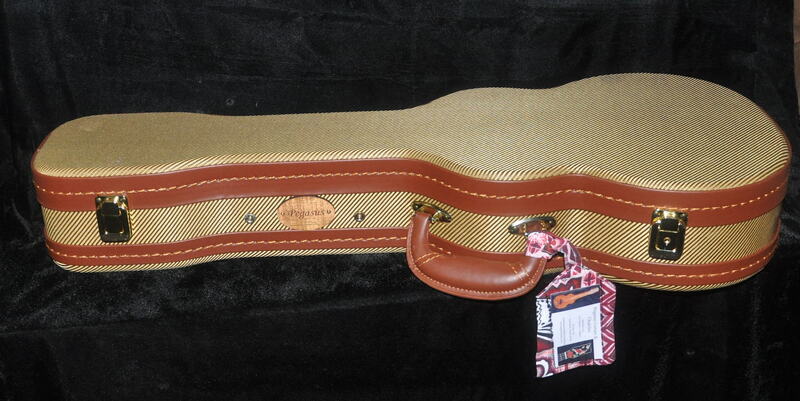 Comes with a tweed covered quality hardshell case. 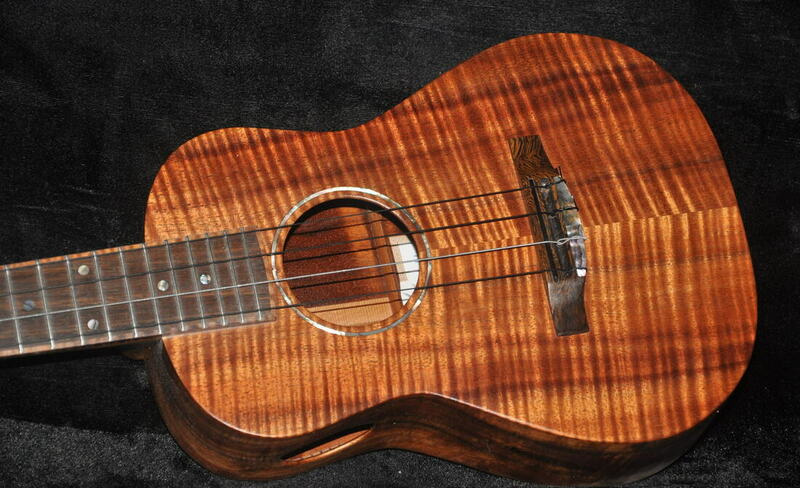 For more info e-mail pegasusguitars@hawaiiantel.net Thanks for looking! When I have new instruments for sale, I will post them.